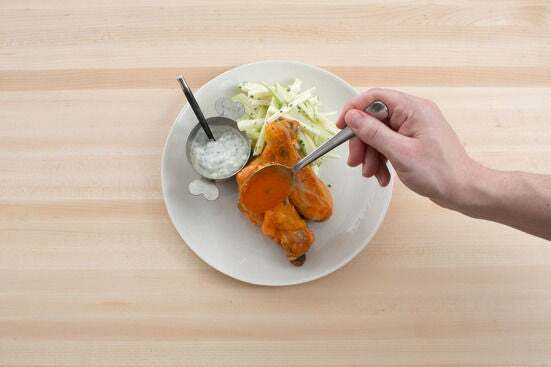 As is the case with many signature American dishes, the true origin of Buffalo chicken is shrouded in folklore and conflicting stories. 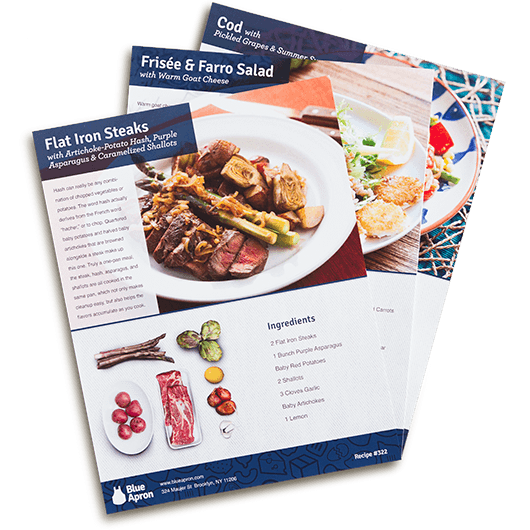 At Blue Apron, we know two things: it’s named for the city of Buffalo, NY, and it’s delicious. 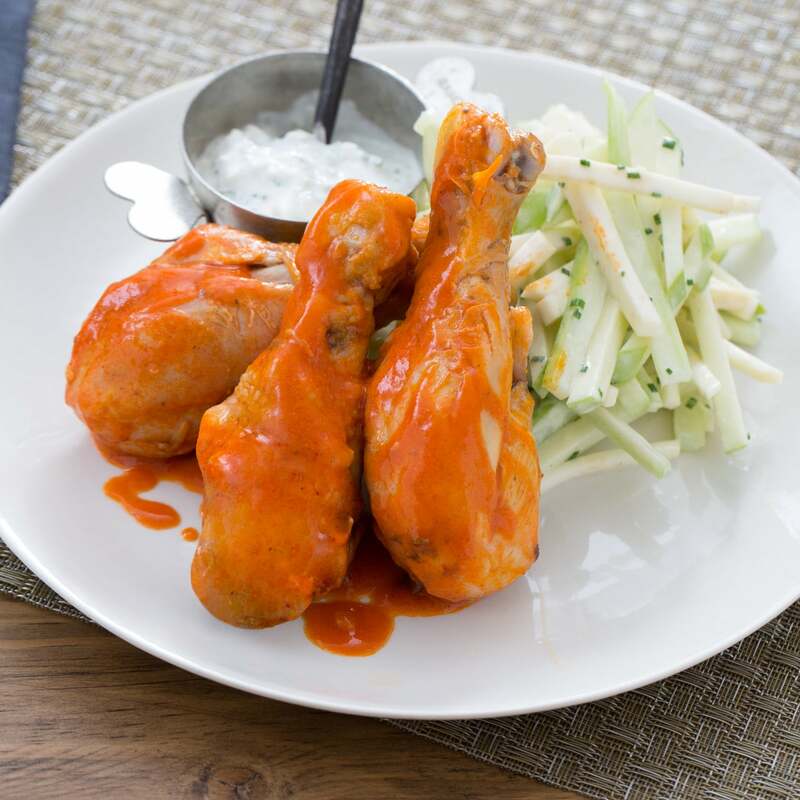 In our take on the classic, we’re baking the drumsticks instead of frying them, but we’re sticking to tradition by coating them in a deliciously spicy sauce and serving them with creamy blue cheese dressing. 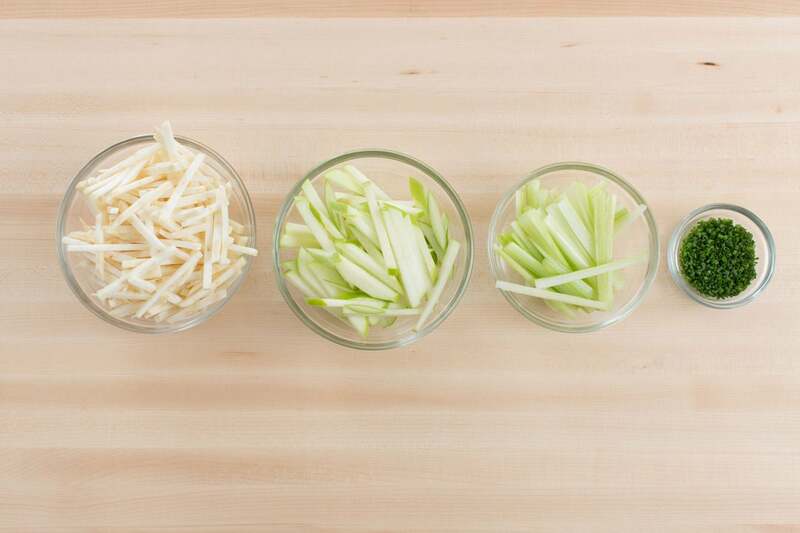 And instead of plain old celery sticks as a side (the usual accompaniment), we’re serving sliced celery and apple in a refreshing, cooling salad. Preheat the oven to 450°F. 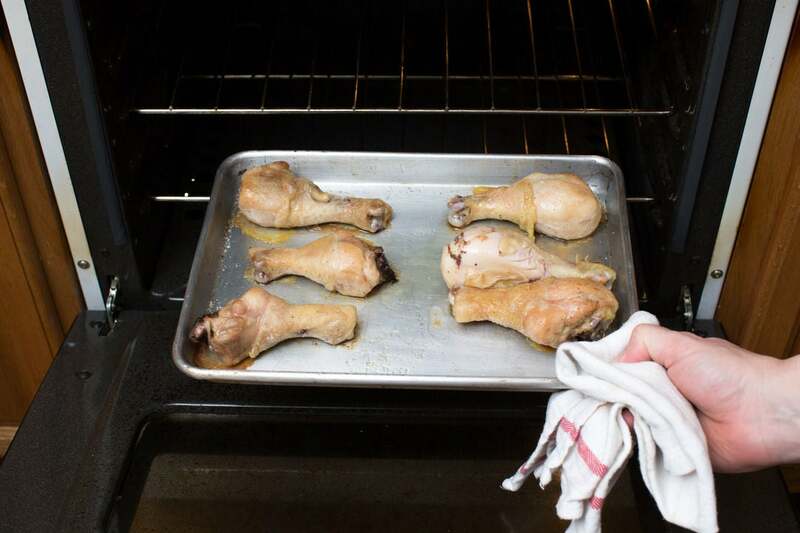 Place the chicken on a baking sheet. Drizzle with olive oil and season with salt and pepper; toss to thoroughly coat. Roast, flipping halfway through, 30 to 32 minutes, or until the chicken is cooked through (the juices should run clear). Remove from the oven. While the chicken cooks, wash and dry the fresh produce. 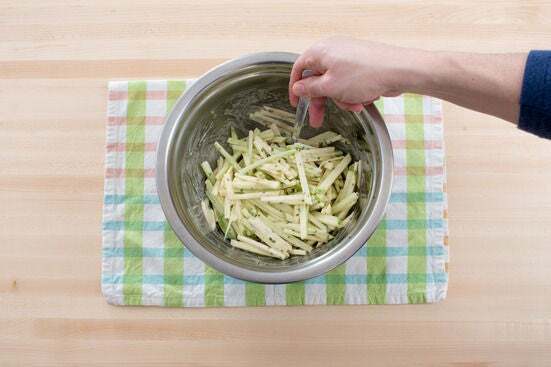 Core the apple; cut the celery stalks and apple into thin matchsticks. Using a sturdy knife, peel the celeriac and cut into thin matchsticks. Mince the chives. 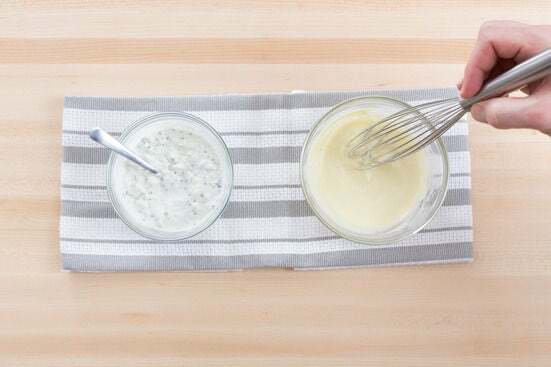 In a medium bowl, combine the blue cheese, half the chives, half the vinegar and ⅔ of the sour cream. Stir to thoroughly combine. Season with salt and pepper to taste and set aside. In a separate medium bowl, combine the remaining vinegar and sour cream. 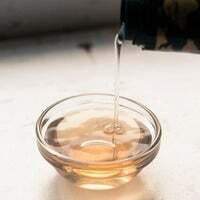 Slowly whisk in 2 tablespoons of olive oil until combined. Season with salt and pepper to taste. In a large bowl, combine the celery, apple, celeriac, remaining chives and salad dressing. Toss to thoroughly coat; season with salt and pepper to taste. 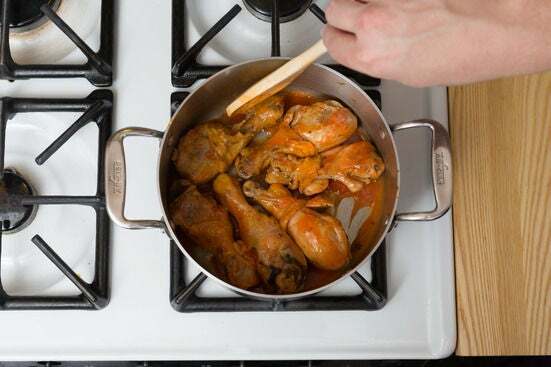 In a large pot, combine the cooked chicken and as much of the hot sauce as you’d like, depending on how spicy you’d like the dish to be. Cook on medium heat, stirring constantly, 2 to 3 minutes, or until the sauce has thickened and the chicken is thoroughly coated. 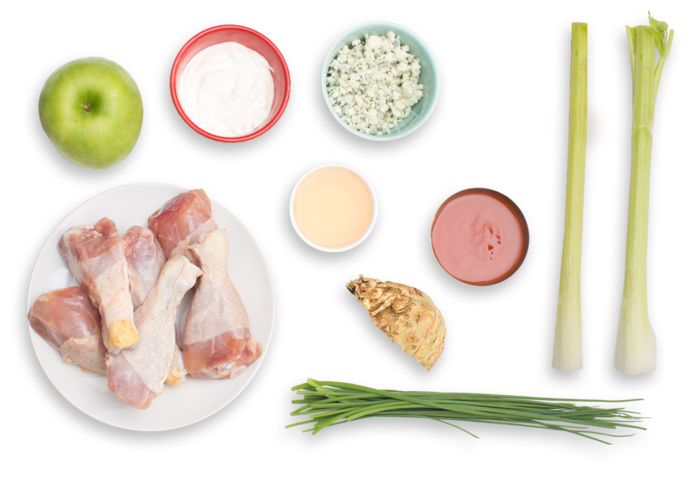 Divide the finished chicken and salad between two plates. If you’d like, spoon any remaining hot sauce over the chicken. 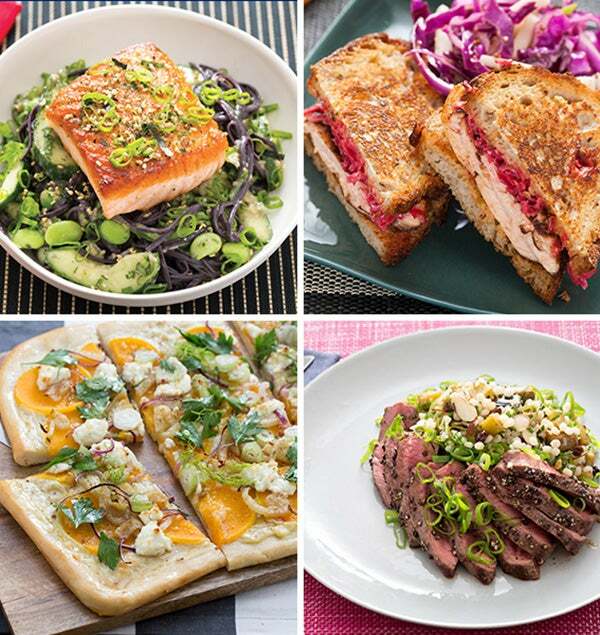 Serve with the blue cheese sauce on the side for dipping. Enjoy!